Overall: I’m putting this up top for this review because while my scores are average at best for this race. I had a lot of fun at it. One of the key parts to this was running with a group. This is definitely a ‘FUN RUN’ to go out with friends, goof around and just plain have a good time. It is very family friendly, It’d be a fun event especially for those friends who might not be into the idea of running a Spartan or even a smaller racelocal event, but want to see what you do on the weekends. The venue was easy to locate. Had pavement and fields and rather open. There wasn’t much of a festival area. It was haphazardly set up at best. As soon as you entered the fenced in area there was the registration table, bag check was behind it, and a small merch tent. Past there were the portapotties. To one side in the middle of the field there was what I believed was a slushie or smoothie truck. On the other side of the field closer to the start line the Army was set up as well as another booth which I’m not entirely sure what they were all about. The guys were walking around promoting themselves but didn’t give much explanation. It was rather odd. By the finish line there was a company giving out canned protein shakes but by the time the 3rd wave had finished I saw them turning people away when I walked by. The course was flat. It was a mix of field and pavement. It was about 2.5 miles, which there was a bit of zigzagging done in one of the fields to achieve even this mileage. The obstacles were fun though! Something that needs to be remembered with this race is that it is clearly a fun run. Get out of the mindset of other OCR’s and just have fun. One of the obstacles was troublesome as it was a bit deflated in some areas and I saw a couple people get stuck between two parts and have to be pulled out. I nearly lost my shoe in one spot because the way it deflated it wrapped around my foot. It was fun bouncing down from the ones that you had to climb up. There was one obstacle that ducked into and there were massive beach balls. Being with a big group, we had a bit of fun with that area. A generic white t-shirt. Which depending on your sizing was different. The medals had the appearance of being in storage for quite some time. Did this race with my daughter. It was a really fun time. The festival area was kind of limited and boring, but loved that we got medals and shirts. The obstacles were fun. I didn’t get a 100% accurate course track as I started my watch late, but I think it was shy of a 5k, which was fine having my daughter with me. She loved it. The obstacles were fun, but like other reviews the volunteers were not so good. Not cheering or helpful, so it was good the obstacles were easy. Parking was $10. They offered a bag check, which I didn’t know until I got there. Maybe I missed it in the email. I didn’t use it though. Would do it again for the pure fun factor – brings out your inner child. This is not a race where you go and run competitively for time–it is purely a “fun” race. You go with your family, or you run with friends in order to be silly and have a good time. I went with my 7-year-old daughter. There is no age limit, but there is a 42″ height limit. My 5-year-old son would just squeak by that, but considering the 5k distance of the race, I left him home and that was a wise decision. The venue (Rockingham Park, Salem NH) was easy to get to, and parking was $10, and within easy walking distance of the event. I had heard that this race would be crowded and to be prepared for lines at the obstacles, so I signed up for the second wave (9:00am) in the hopes that we’d beat the crowds. Registration was relatively quick and easy. The bibs we received were stickers rather than safety pins, which makes them more kid-friendly. Just slap it on your shirt and you’re ready to go. We had some time to kill before the start, but I didn’t have to worry about my daughter getting bored–they had a small bouncy house near the festival area so kids (and some adults) could jump around and kill some time having fun. Our bibs had the wave time written on them, and they were checked when we went into the start corral. Soon we were off. After the initial scramble up the first obstacle, the pack thinned out considerably. The obstacles were as advertised, and were well-spaced, such that we only had to wait for one obstacle near the end (Mad House) which has a single-file section, and even then the wait was no longer than 5 minutes. There was one water station about halfway through the race. It was a pretty warm and sunny day, but I didn’t find the obstacles hot to the touch, and both my daughter and I were in shorts and had no problems with the slides. My daughter had a blast and definitely wants to do it again. For a “fun” race like this, I wouldn’t expect more than a T-shirt, but we got both T-shirts and medals, so that was a bonus. After I registered, the week before the race I got an email with a discount code, which was too late for me to use but could have been used if I wanted to bring friends. Also soon after the race I got an email with a 30% off code, which definitely mitigates the price for future races. I missed out on giving my reviews of this particular race last year, but wanted to put it up this year for others to read. It is my great hope that the race organizers took everyone’s feedback to heart and made major changes in the off season. The race directors do ask for feedback following the races, and I did give them very specific feedback similar to what I’ve written below (no response to my feedback however). I actually ran two Inflatable races in 2015, the second in hopes that the first was just a fluke, but sadly no – while the course itself was extremely entertaining, the poor organization of the race ruined the experience both times. The following are pros and cons I experienced at both races I ran in New England (one in NH, one in Maine) in 2015. -The obstacles themselves are very fun. it’s one of the rare times its totally ok for an adult to act like a goofy kid. -Both courses were a relatively easy run and had water breaks at good intervals. The racetrack got pretty warm (no shade) but was super flat and easy, and the farm was gorgeous. -There is a bag check. -There is a nice assortment of tents and food to keep yourself occupied before and after the race. -There was free beer at the end of one of the races. -There is food to purchase at the end of the races. -Swag includes t shirt, medal, water and snacks. -It was $60 at ticket for each race. You’re supposed to take the whole family at $60 pp to this? No way. What fun family activity costs $60 pp for 1 hour of entertainment? And there’s no way you could run multiple laps. They are overly conscientious about checking to make sure you are running in the correct wave time. -First race, parking was $10 at the track or we could walk a little ways to the race. We chose to walk. Second race, parking was free and we were bused in and out. There were MAYBE 3 buses for the entire event – we waited 40 minutes in the parking lot before we could board to get to the race, and at least 40 min or more to get back to our car. Every bus was packed full. Absolutely not enough shuttles for the size of the race. They knew how many people were coming and when, is it so hard to figure out how many buses would be needed? -First race, we arrived 90 min in advance. The line for bib pickup was quite literally around the festival tents and barely moving. There was NO shade. I was lucky enough that the people I was running with had arrived an hour before – that’s 2.5 hours in advance of the wave time! – and were only halfway up in the line. It was past our wave time when we finally flagged down a staff person, who allowed us to come to the front of the line to pick up our bibs. By the time we were ready to run it was 30 min past our wave time since we had to go through bag check, and we felt majorly hassled by the staff who seemed very upset that we missed our wave time. At the second race, we didn’t want to wait 2+ hours for bibs again, so I went to the early bib pickup. That wasn’t any more well run than the one at the race, so I ended up waiting an hour to get my two bibs, but at least I didn’t have to wait in line the day of the race. 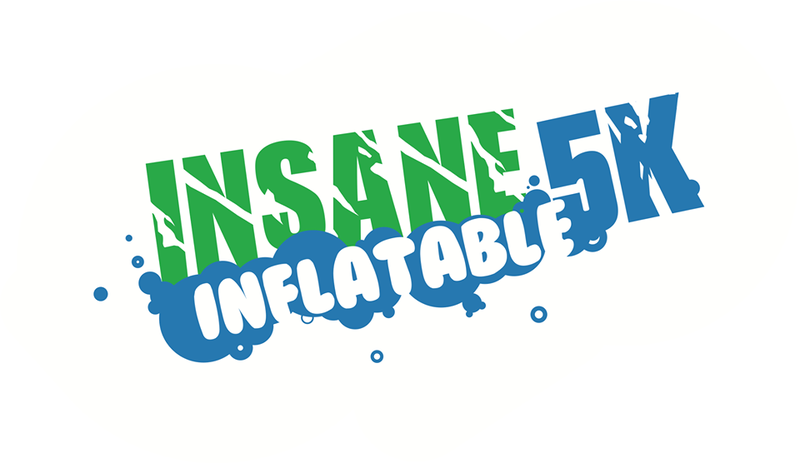 -Some of the advertised inflatable obstacles did not appear in the races, and some that were in one race were not in the other. -You got major friction burns if you wore shorts and short sleeves, and the obstacles got VERY hot. It doesn’t occur to you to wear long pants and sleeves on a 90 degree July day, but I’d recommend it if you run this race. -The volunteers were not particularly friendly, either on the course or at the tents. The bib check lady at the first race was actively obnoxious. The course volunteers seemed apathetic if anything. I’ve actually been asked to join a group of coworkers going to this year’s run and told them no. I’m hoping they’ll come back and tell me that the organization of the race is improved over last year. The tickets for this year aren’t any cheaper, so I doubt it. While the race itself is a very fun experience, I will continue to NOT recommend it to others.